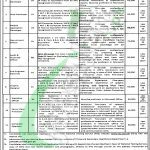 Get Primary and Secondary Healthcare Department Punjab Jobs 2018 NTS Form Download. Primary and Secondary Healthcare Department, Government of Punjab, invites applications from the well educated and experienced professionals for the following positions which are going to be the recruit for Health Information & Service Delivery Unit (HISDU), such as (Manager Implementation, Software Developer, Web Developer, Mobile Application Developer, Recruitment Officer, Audit & Accounts Officer, Sub-Engineer Electrical, Graphic Designer, Statistical Officer, Senior Data Processor, Computer Operator). The above positions are offered on contract basis for three years under the Contract Appointment Policy 2004 of the Government of the Punjab and duration of the contract is extendable on satisfactory performance of individual till the completion of the project. Candidates willing to apply should hold relevant qualification and experience as per the criteria mentioned in the following image and according to the criteria candidates possessing qualification M.Com/MBA/MIS/MS/MSC/MCS/BSCS/BS/BSc/BBA/B.Com/BA/ACCA with relevant experience. So, only suitable candidates fulfilling all requirements should apply as per the following how to apply procedure given below as per the rules of NTS the department has authorized this organization to conduct recruitment test. Candidates may download the application and online deposit slip from the official site www.nts.org.pk. Duly filled application form along with paid deposit slip of Rs. 500/- as test fee and all other documents should reach the following address given below. All applications should reach NTS Headquarters, 1-E, Sector No. 46 Sector I-8/2, Islamabad. 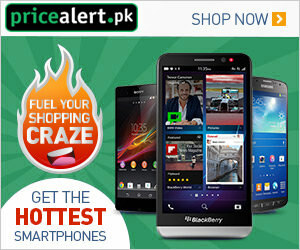 NTS fee can be submitted to any online branch of HBL, MCB, ABL, and Meezan Bank (non-refundable and non-transferable). Last Date for submission of application is April 23, 2018. Information about Roll Number & NTS test date and timing will be dispatched at the official site of NTS before one week of NTS test. Address: National Testing Service 1-E, Street No. 46, Sector I-8/2, Islamabad. Apply for Primary and Secondary Healthcare Department Punjab Jobs 2018 through NTS-National Testing Service Form available at nts.org.pk for the Masters/Bachelors qualified Punjab Domiciled individuals Male & Female for the latest Primary and Secondary Healthcare Department Punjab Jobs 2018.